Transmission Instruments is your source for rebuilt and refurbished WTECII and WTECIII ECU's and Shifters for Allison Automatic Transmissions (Models: MD3060, MD3560, HD4060, and HD4560 etc). These push-button control boxes are found in RV's, medium-size trucks, buses, service/utility vehicles, and many other pieces of equipment fitted with the tough and time-honored Allison transmissions. Our turn around time for ECU rebuilds is typically 2 to 3 business days. Put your contact information ( name, phone number and e-mail address ) directly on the unit. 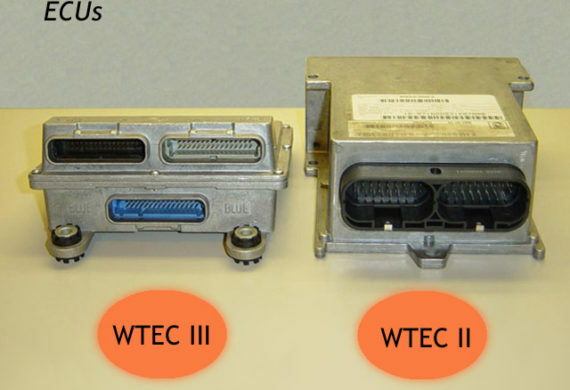 The WTECII and WTECIII ECU's and shifter modules are expensive to replace, running between $3500.00 and $4000.00. Remote shifters also running at $2000 and Shifters at $1000. In-shop rebuilding is impractical and often results in a short-lived repair. Transmission Instruments specializes in the ground-up rebuild and refurbishment of these devices. Different Than A Repair Kit? Very. The repair kits replace certain wear-prone parts but the printed circuit board - the backbone of the device, is not included. For the serviceman in the pit, this means wasting time and money by sending the vehicle to a body shop to perform "electrical" repairs. Even the body shop mechanic will find this time-consuming rebuild will result in a less than favorable fix. 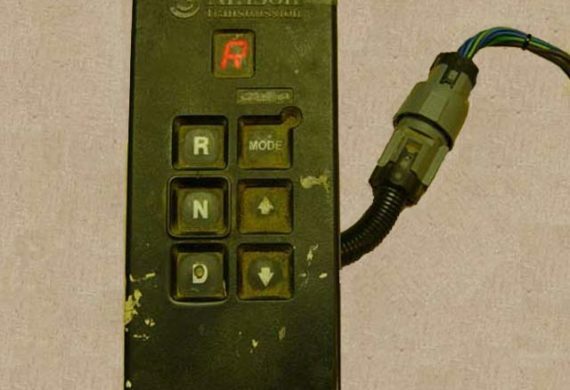 For example, the push buttons are integrated into the printed circuit board (PCB), and cannot be replaced, however, with our proprietary restorative processes, they can be repaired. Often there is damage to the PCB itself, which is something no transmission shop, body shop, or field service mechanic is outfitted to repair. We specialize in these repairs, and take these shifter boxes down to the component level, restoring them to a better than new condition. The shifter or ECU you send in for rebuilding with us will probably outlast the remaining service life of the equipment it came from. We only need your shifter or ECU core. Make a copy of all the labels on your ECU for your records, in case it gets lost in the mail. Pack the unit very well, especially around connectors! Use extra packing material where necessary to make sure all connectors are protected. Sometimes we get a unit with broken connectors because it’s not packed correctly, which can result in additional repair charges. Please e-mail us your tracking number. For more information visit shipping and pricing pages. Collaboratively administrate and dynamically help our customers. John is a life-long electronics enthusiast. He has worked in Television and Audio Engineering, Commercial Control Systems, Programming and Troubleshooting. He has designed and realized custom electronics test instrumentation and has created much of the specialized test gear required to service remote shifters. He founded Transmission Instruments in 2004. Transmission Instruments is your source for rebuilt and refurbished WTECII and WTECIII ECU's and Shifters for Allison Automatic Transmissions. These push-button control boxes are found in RV's, medium-size trucks, buses, service/utility vehicles, and many other pieces of equipment fitted with the tough and time-honored Allison transmissions. Copyright © 2019 · Transmission Instruments - All Rights Reserved worldwide. Transmission Instruments.com is independently owned and operated by Transmission instruments. This site is not owned or operated by Allison Transmission, Inc., and makes no statement or claim to these respective trademarks, logos or insignia.